Looking for some healthy recipes that are delicious? Here is a list of awesome recipes that benefit your eye health and they aren’t all salad recipes. There is only one salad recipe in here I promise. LASIK (an acronym that stands for LASer In-situ Keratomileusis) is not only the most commonly performed type of laser vision correction, but also the most effective. During the procedure, a small flap is first created with either a blade or laser (IntraLase) in the outer layer of the cornea. 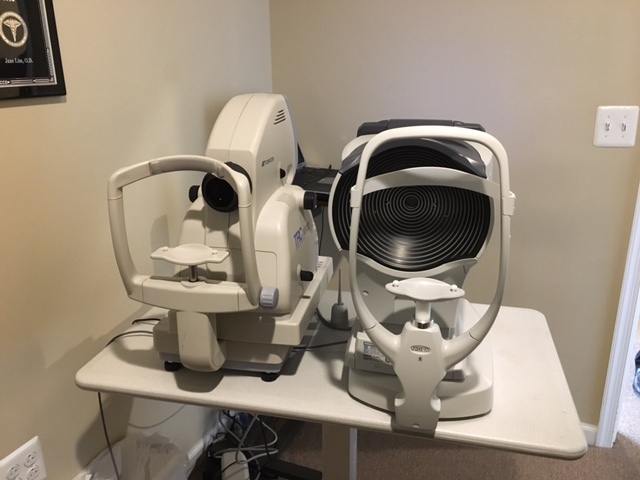 The flap is then folded back on its hinge, and the extremely precise and accurate excimer laser is used to remove minute amounts (microns) of underlying corneal tissue, reshaping the cornea and allowing the eye to correctly focus light on the retina. Currently, LASIK is one of the most commonly performed health care procedures in the U.S.A., with an excellent record of success. LASIK offers faster healing time than other laser procedures and rapid visual recovery (patients usually see well within a few hours). 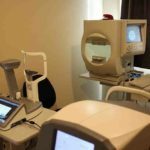 Despite being a “quick” and seemingly “easy” procedure, LASIK is still surgery and, like any other surgery, is not perfect. With the use of the excimer laser, surgeons can achieve an unparalleled degree of precision and predictability. Each pulse of the laser can remove 39-millionths of an inch of tissue in 12-billionths of a second. This technology, coupled with the skill and care of our surgeons, can achieve remarkable accuracy while maintaining exceptional control throughout the procedure. Are 18 years or older with a stable prescription for at least one year. Have a prescription within – 1.00 to 11.00 diopters of myopia or up to + 5.00 diopters of farsightedness. Astigmatism up to 5.00 diopters can also be treated. Have healthy eyes without disease or serious ailments. Have realistic expectations and are educated and informed about the risks and benefits of surgery and the alternatives. 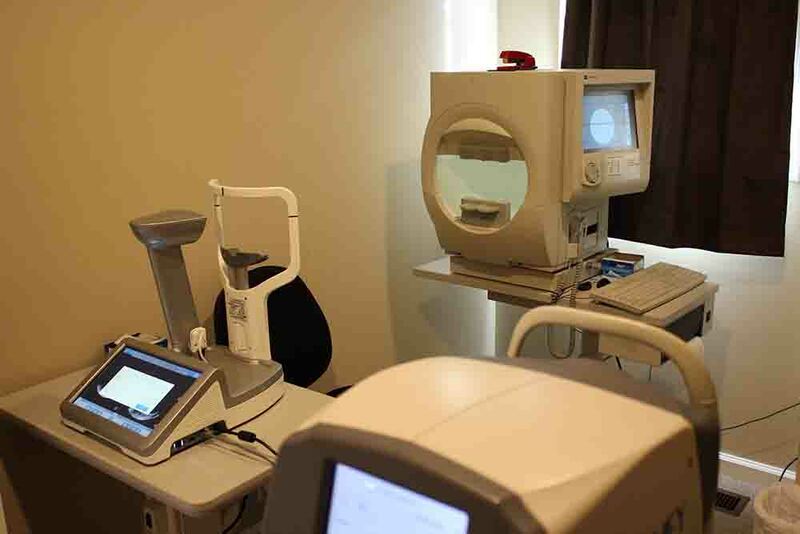 Excellent results start with your first visit to Hoopes Vision, through accurate diagnosis and measurements. Our surgeons, not “counselors”, perform our examinations and screenings. Then, our doctors’ expert surgical ability, combined with careful post-operative care, completes your new vision process. The key to it all is experience and the best technology. Your surgeon’s level of experience and skill in performing these delicate procedures is the critical factor in determining your outcome. Don’t be so discouraged if you are a smoker but want to avoid smoking-related eye problems and vision loss. Quitting smoking can improve your chances of avoiding eye disease and will have reduced risks of developing certain eye problems. But obviously, the safest thing you can do for your vision is to never start smoking at all. To learn more about the effects that smoking may have on your eye and vision, give us a call today! Most often, watery eyes are not a cause of eye distress, but rather just an eye symptom. Although they can be irritating and distracting, watery eyes are usually not a serious problem. To learn more about watery eyes and other ways to treat them, give us a call or visit our office today. sometimes nicknamed “the sneaky thief of sight” is the second leading cause of blindness in the world. 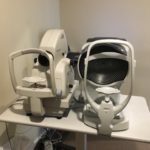 It is so called because its effects on your sight or visual field most often occur gradually over time and might only be realized after permanent damage has already happened. Glaucoma is any of a number of diseases that cause damage to the optic nerves and therefore limit or eventually devastate vision. While it is usually a condition that can come with advanced years, it can also occur in eyes under 50. There are no known absolute causes of Glaucoma, though high intraocular pressure (fluid pressure in the eye) is certainly a factor as well as family history with the disease. Regular eye exams can detect if high intraocular pressure is present and many treatments of glaucoma focus on lowering the pressure. But there is not yet a cure for glaucoma and medication, prescription eye drops and even laser surgery serve only to maintain the vision that has not yet been lost and help improve the patient’s quality of life. Age-related macular degeneration, also called AMD or ARMD, is the leading cause of vision loss and blindness among Americans who are age 65 and older. AMD is degeneration of the macula, which is the part of your eye’s retina responsible for the sharp vision that you rely for activities such as reading and driving. The symptoms of AMD include shadowy areas in your central vision or unusually fuzzy or distorted vision and lightening of your eye color. The process is usually slow and painless which makes it more likely to go undetected for a time. The causes of AMD are typically aging and genetics. Other common risk factors for developing AMD also include obesity, high blood pressure and smoking. If you notice any symptoms of AMD and are beginning to see signs of vision loss, call us today to schedule an eye exam. 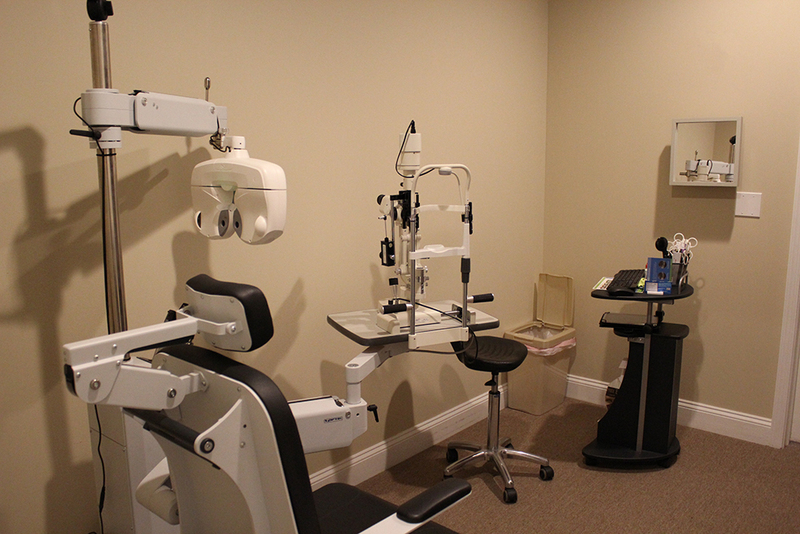 There are some treatments available to delay its progression and even improve vision. Dry, scratchy or burning eyes. The sensation that there’s something in your eyes. Watery eyes. It could be allergies. It could be something “in the air.” Or it could be Dry Eye Syndrome. Dry Eye Syndrome is a chronic condition where the eyes either do not produce enough tears, or produce tears that evaporate too quickly. As a result, the eyes are denied sufficient moisture and lubrication. 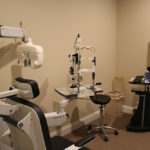 The first step towards relief from Dry Eye Syndrome is a comprehensive eye examination, so please contact our office for an appointment, or let us know that you’re experiencing symptoms of Dry Eye Syndrome at your next visit. If you are close to the age of 60 and see some signs of those disorders, please give us a call. We want to find the problem as early as possible so that we can provide the best treatment option possible you.